Toyota is a Japanese brand dedicated to serving its customers with a high degree of personalization, much like our dedication to providing customers excellent service for all your automotive needs. 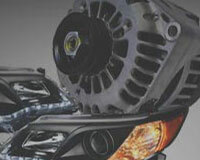 We offer a complete online catalog of Toyota Matrix OEM parts and accessories at discounted prices. Deriving from the Toyota Corolla, Toyota Matrix, also known as the Toyota Corolla Matrix, was produced by a wholly owned subsidiary of a renowned Japanese automotive manufacturer Toyota Motor Corporation - Toyota Motor Manufacturing Canada Inc. (TMMC) from 2002 to 2014 as a compact vehicle. Originally introduced as the result of a joint venture between Toyota and General Motors, Toyota Matrix was positioned as a sporty hatchback counterpart of the North American Corolla ever since. Before being replaced by the Toyota Corolla iM and Toyota C-HR, Matrix had been manufactured through two generations. The first-generation Toyota Matrix was produced from February 2002 to December 2007 and went on sale as a 2003 model. It came with three trim levels: Standard (base), XR and XRS as well as an M-Theory edition. During this generation, Matrix was powered by a 1.8 L engine rated at 123-130 hp and a 1.8 L I4 engine producing 164-180 hp. And both engines sent power through 4-speed automatic, 5-speed and 6-speed manual transmissions. The second generation of Toyota Matrix started in February 2008 as a 2009 model. Initial trim levels consisted of Standard (base), mid-level S and sporty XRS. Back then, it got power from a 1.8 L I4 engine rated at 132 horsepower and 128 lb-ft of torque and a 2.4 L four-cylinder with 158 hp and 162 pound-feet of torque and power was sent through 4-speed, 5-speed automatic and 5-speed manual transmission to front wheels or four wheels. First, engine failure and excessive oil consumption are what Toyota Matrix owners complained most. And we can speculate easily that it is the engine that goes wrong to cause failure or the poor fuel economy. Generally speaking, when the Matrix reaches about 100,000 miles, drivers could hear strange sounds from the engine and feel the engine working worse than before such as losing power while accelerating, misfiring, stalling or suffering from starting issues. 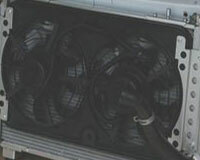 Cooling system failing will deteriorate this situation and speed up wearing process. 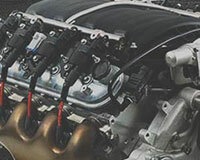 Thus, once the Check Engine Light and Low Coolant Light are activated, you had better have an inspection on the Matrix oil filter, oxygen sensor, air filter, spark plug, drive belt, radiator and water pump. Second, braking and suspension failures are also the last things that Toyota Matrix drivers want to meet during driving. 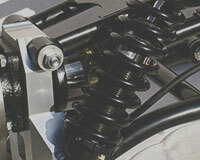 Braking failure is needless to say as it may result in a fatal accident directly. According to some drivers' experience, braking failure often manifests as noisy brakes or brakes are responding poorly, feeling vibrations on the pedal and finding score marks on the rotor. You need to make sure the Matrix brake disc, brake pad set, brake shoe set, brake drum and brake caliper are working properly before on the ride. As for suspension failure, pay more attention to the working condition of Matrix coil spring insulator, strut housing, wheel bearing and shock and strut mount is enough. Many auto parts in Toyota Matrix could not last as long as the vehicle could but they all play important roles in ensuring a pleasant and safe driving trip. For example, seat belt is useful in preventing the secondary injury from interior parts in the vehicle in collision; door handle is responsible for convenient entering or exiting; wiper blade, headlight, headlight bulb and fog light bulb are used for offering excellent driving visibility under harsh conditions and cabin air filter could help create healthy driving environment. All of them should be maintained on a regular basis. Choosing OEM Toyota Matrix auto parts as the parts replacements should be your next job after maintaining. 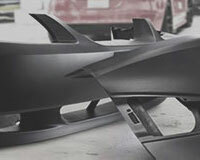 The reason why go for OEM parts lies in the quality, reliability, durability of them are impeccable. 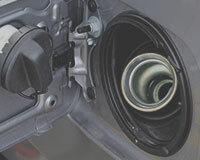 And ToyotaPartsPrime.com carries a broad selection of genuine Toyota Matrix auto parts at the lowest price online. With support from manufacturer's warranty, hassle-free return policy and fastest delivery service, what other worries do you have about these perfect OEM Matrix parts?